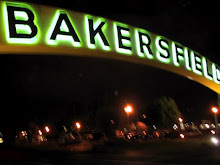 "Bakersfield is home to many family-owned businesses that have shaped our community. Businesses like Smith’s Bakeries, Clerou Tire Company, and Dewar’s Ice Cream and Candy Shop are often mentioned. But there are many others, like the story of Jona Feil and Marvin Bartel who saw potential here in Bakersfield. In 1965, Jona and Marvin founded a weed and insect control business with one spray rig and one worker. Soon, Abate-A-Weed expanded into selling chemicals and lawn and garden equipment, and today, the Feil family employs 36 people and remains a long-standing equipment and pesticide service supplier in our community. "My fear is that today’s Jonas and Marvins won’t be able to get off the ground in California. And simply put, California is not the model Washington needs to follow. I’ve lived in Bakersfield my whole life, and in almost 47 years, I’ve watched California’s business climate continue to worsen. Overregulation, overlitigation and overspending have driven our state into debt, joblessness, and soaring fuel and food costs that are hurting families and local small businesses. In fact, a recent survey released by the National Federation of Independent Business (NFIB) indicated that high gas prices are seriously affecting small businesses and decreasing optimism about the economy. "Many of our small business owners this past week shared with me the impact rising gas prices are having their small businesses. One local small business owner said that as a result of gas prices surpassing $4.00 per gallon, the amount he spends on fuel now exceeds his payroll costs. These local experiences are the reasons I continue to push policies for more domestic energy production. We need energy for America, from America. The new pro-growth energy policy package that I released last week would help provide needed relief to families and small business owners by providing a true “all-of-the-above” strategy to stabilize rising gas prices. I urge the President and my Democratic colleagues to take up this legislation - as well as the six other energy bills that have been passed by the House and are currently stalled in Democratic-controlled Senate - to help lower the cost of energy, spur economic growth, and create new American jobs. "The recent provision in the JOBS Act that I authored – and has been signed into law by the President - repeals an outdated Securities & Exchange Commission regulation limiting capital formation to help entrepreneurs access the capital they need to grow and hire new workers. "I believe the right policies for our economy’s recovery start here with our local small business owners. The economic success of our nation and California rests on the foundation built by innovators in our community. The success story of the Feil family is one that our nation, state, and community need to replicate. * .... NEW EATS: Looks like the new Eureka Burger restaurant in the Southwest is getting ready to open. Located next to the relatively new Chipotle off Stockdale Highway at the Park at Riverwalk, the Fresno-based burger chain has been training its employees and is looking at opening as early as next week. Knowing our town, you can expect a mad rush when it opens. 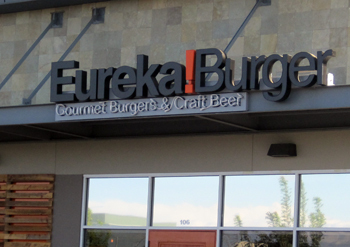 Eureka Burger offers specialty beers and gourmet hamburgers. * ... HAUPT: The funeral for long-timer local businessman Warren Haupt, who died earlier this week at the age of 83, is being held today (Friday) at St. Francis Church. John Croson is one of the many people in town who considered Warren a friend, and he passed along this note to me. "I had the pleasure of meeting Warren during our Health for Life class at Glinn and Giordano Physical Therapy. I always looked forward to the class because Warren was so much fun to spar with about all subjects of life. We solved a lot of USA and world problems if only someone else had listened! He was just a lot of fun to be around and I am sure all who knew him will miss him greatly… His family was always in his thoughts and he told me many stories of the adventures and times they spent together and the achievements his children and grand children had obtained. He was so proud of his family and inspired by all they did. Warren, thanks for sharing a little of your life with me and may you rest in peace." 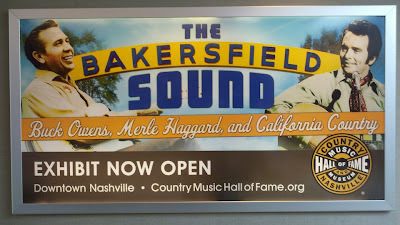 * ... BAKERSFIELD SOUND: One local resident who visited the Bakersfield Sound exhibit in Nashville is Dave Rangel, who recommends it highly. "Coming into Nashville there were billboards with the pictures of Buck and Merle at the end of the famous Bakersfield arch. Even city buses had the arch on them. I am even more proud of Bakersfield after visiting the exhibit at the Country Music Hall of Fame. People in Nashville always ask where and why you are visiting Nashville, of course after they open the door for you. You tell them, 'from Bakersfield,' and they think you know Buck and Merle. What a great town to visit." 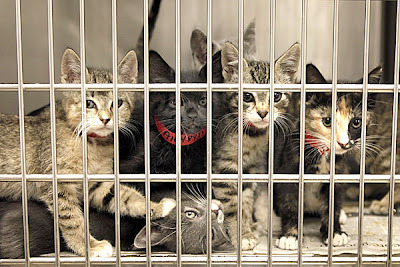 * ... SPCA: If it's spring, it's time to do a little house cleaning and take all those books and music to the local SPCA for its annual book sale. SPCA spokesman Chuck Nordstrom said the annual SPCA book sale will run from April 27 to May 26. 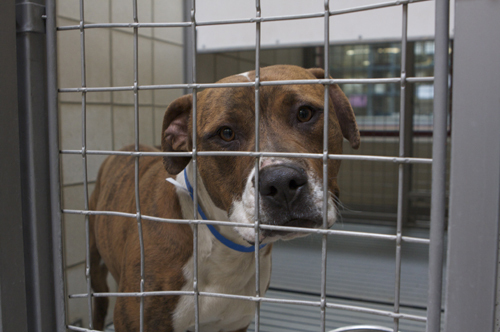 "Now is the time to clean out your closets and make a donation that will not only rid you of clutter but make a difference in helping to save the lives of stray and abandoned pets," Nordstrom said. "All donations are tax deductible. To donate you can simply take your books up to our book sale location, 3501 Mall View Road near the old Michael's store. This is our largest fundraiser of the year!" * ... VOTE: Speaking of animals, the Kern County Animal Shelter needs our help to win $100,000 in the Rachel Ray challenge to help shelters across the country. All you have to do is go to www.votetosavelives.org and vote for the Kern County shelter. We are currently in 10th place but within a few hundred votes of jumping up in line. The voting ends Monday. * ... BURBS LOSE APPEAL: Apparently our country's romance with living in the suburbs is coming to an end. At least that's what USA Today reported after reviewing Census data which shows more people living closer to the inner city than ever before. Why? More folks are renting (thanks to foreclosures), gas prices are making living in the suburbs more expensive and high unemployment is driving more folks to where the jobs are. * ... RIP WARREN HAUPT: Our community lost one of its great characters this week with the death of Warren Haupt at the age of 83. Warren and his wife, Catherine, had five boys, all of whom turned out to be productive citizens with families of their own. The Haupts are a large, Catholic family with strong ties to Our Lady of Perpetual Help school and Garces Memorial High School. 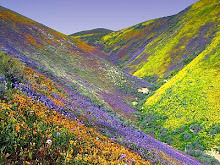 Warren grew up in Bakersfield, attended Kern County Union High School and later managed Kern Rock Company for 30 years. Services will be held at St. Francis Catholic Church on Friday at 10 a.m. Keep his widow Catherine, and this special family in your thoughts. * ... MORE MEMORIES: Reader Rod Kearns wrote in response to an earlier post about a Camillia bush that traveled with a family for many years. His note: "I read your blog each day it is in the paper and enjoy it immensely. The note about Camellia memories prompted memories of my own. Our little rose bush's life is ten years short of the camellia's life, but this bush will certainly outlive us. Our family moved from Sanger to Fresno when I was ten years of age. To celebrate our new home I rode my bicycle a couple miles to a nursery and purchased a miniature rose bush. My parents planted the bush in our family garden where it thrived. 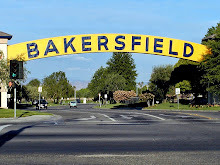 When my wife and I moved to Bakersfield in late 1970, my parents transplanted the bush for us as a gift for our new home south of Bakersfield College. Seventeen years later we built our current home further east of BC and the rose bush went with us. It has adorned our entry flower bed for twenty-five years. We love the small pink blossoms and the memories are grand. This little rose bush has been with us in three locations for 56 years." * ... GOH: Four-time Pro Bowl football player Joey Porter and wife Christy are hosting a fund raiser for county supervisor Karen Goh in her bid to win a full term. The Porters will be opening their home on April 27 with food and entertainment. 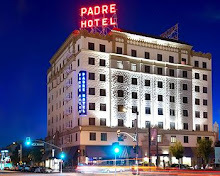 Call (661) 322-2225 if you are interested in tickets. Goh is running against former public defender Leticia Perez for the 5th District seat. * ... BAKERSFIELDISM: Kurt Seeger says you may be a Bakersfield old-timer "if you remember Uncle Woody and his Toy Circus toy shop on Chester Avenue. He also would perform, with his sidekick, Zippy, at private birthday parties." * ... EASTER WEEKEND: Hard to beat the weather over the long Easter weekend. On Sunday, all the parks were crowded and families were enjoying the spring-like weather. And shame on you if you missed First Friday when the streets and sidewalks of the downtown arts district were brimming with revelers. Among those I spotted in the crowd were Karen DeWalt, Linda Sullenger, Greg and Mary Bynum, Rob and Amanda Meszaros, Molly and Matt Clark, Karen Goh, Lisa Verdugo, Katy and John Glentzer, Joe and Mimi Audello, Nicole St. John and Bob Grewdson, Pat and Robin Paggi and Vicki Cruz. * .... CAMILLIA MEMORIES: Zelma Lopez dropped me a wonderful note to share the story of a camellia plant that has been in her family since 1945. In 1942, she married into a Tulare family that had five sons, all of whom served in World War II. After the war, the boys bought their mother a small, white camellia bush for Mother's Day. "When the last of the family left Tulare by 1956 we moved the plant to our southwest Bakersfield home." The plant survived and to this day she enjoys "the beautiful flowers from a plant that is taller than the house. Precious memories!" * ... KUDOS: Hats off to Joseph Schoorl who is graduated from George Washington University Law School in May. 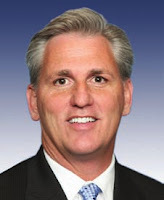 Schoorl graduated from St. Francis and went on to Garces Memorial High School where he was a valedictorian. He did his undergraduate work at UC Berkeley and has accepted a job with the law firm of Baker and McKenzie in Washington, D.C., His parents are Cindy and Andy Schoorl. 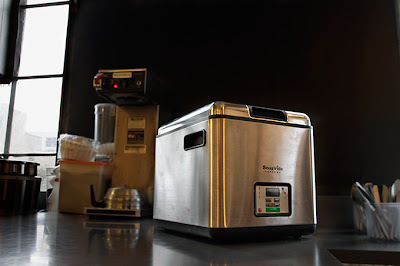 * ... SOUS VIDE: I have one of the smaller kitchens in town so when my friend Steve Illingworth, manager of Urner's Appliance Center, tipped me off to a new cooking appliance my first thought was: 'and where am I going to store it?' But Steve appreciates my love of cooking, has excellent taste and I came home with the new Sous Vide vacuum sealer and water oven that - when all was said and done - made one of the best pork tenderloins I've ever tasted. Sous vide is a slow cooking method that low-temperature water poaching with food packaged in vacuum sealed bags. 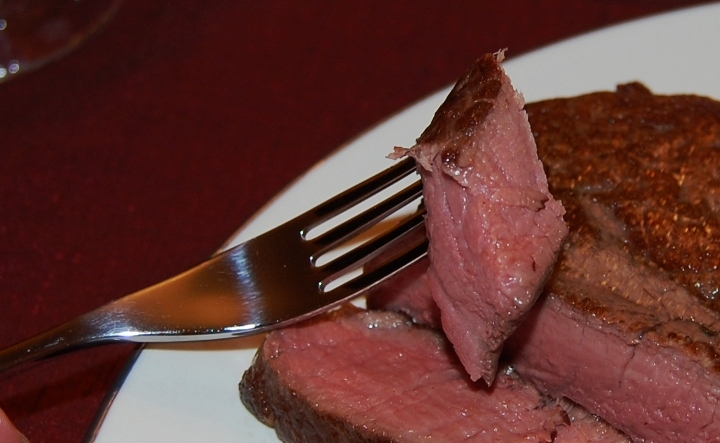 The idea is that the food is cooked for a long time at the exact right temperature. Thanks Steve, for making my Easter weekend special. * ... TAX FRIENDLY: If you are thinking about retiring, you might want to consider moving to a more tax friendly state. Marketwatch recently listed the most "tax friendly" states for retires, defining tax friendly as "states that don’t tax income, including Social Security and pension income. 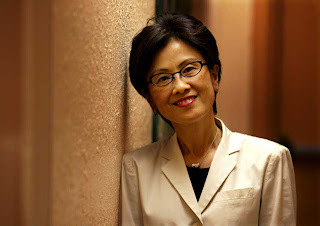 And then we added some commentary from the Tax Foundation about other taxes, such as property and sales, and the overall tax burden, in those income-tax friendly states." The winners were Alaska, Nevada, South Dakota, Wyoming, Texas, Florida and Washington.